My career went down the tubes when I was approaching my half century. The publishing and creative industries have not been decimated, since that’s a Roman phrase that means one in ten men were killed. What happened to the creative industries was more like a massacre. Let’s not be melodramatic, I didn’t die, but I was shocked, broke and one finger nail was definitely torn. I lost my career, my marriage and my home. FEELING SORRY FOR ME YET? LET’S TRY VIEW TWO. I’m writing this from a big villa in the hills behind Malaga, southern Spain. If I lift up mine eyes from my laptop, I see my big pool at the edge of the terrace, with a massive panorama leading down to the Mediterranean in the distance. This is where I’ve been working for two weeks, with another week to go. The sun is shining, everyone else is in their office hutches and cubicles, and I’m going to have a swim before lunch and then work again this afternoon. I write that not to annoy you or to make you envious or any such emotion. What I want you to feel is thoughtful. Thoughts like ‘Could I do that?’ and ‘How does that work?’ Here’s how. In practical terms, I’m house-sitting for the sister of a mate so I’m actually doing her a favour. All I have to do is keep the pool clean, take care of the guard dogs and that’s it. Since she wanted a lift to the airport and to be picked up again, I have the use of her 4x4 for the whole time I’m here. But that’s not the big answer. The big answer boils down to one simple fact. After years of watching technology destroy my world and the world of many talented people I know, and after resisting technology in all its geekiness and techiness, I have learned to embrace technology. That’s it. It still doesn’t come naturally. 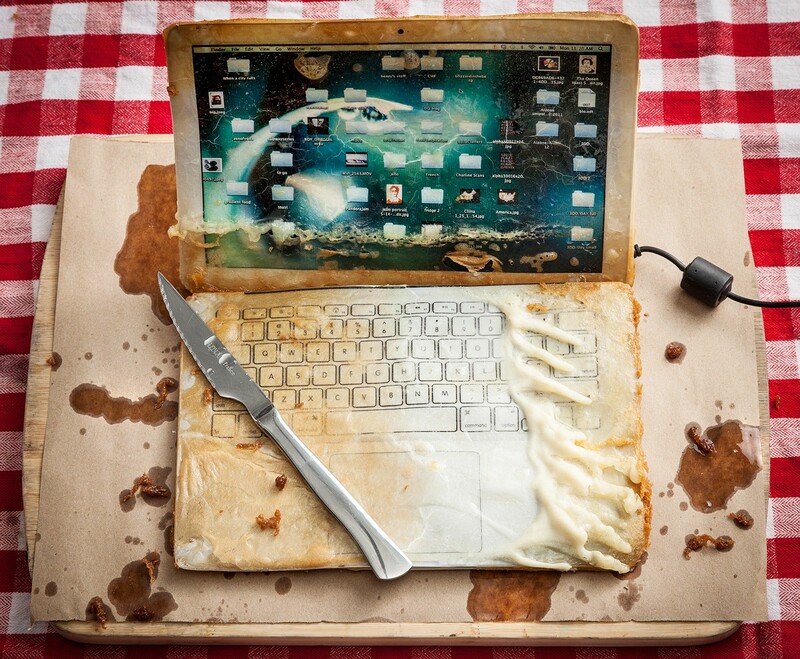 When people talk about chip speed I still tend to think of deep-frying my laptop. I kept my old iMac until the screen was going and everything had slowed to donkey pace. And then I got it. The iMac was a relic from when I’d run a creative agency which had to be humanely destroyed in the great destruction of 2008, and I was hanging on to that as a symbol of ‘when I’d been successful and had staff and all that stuff’. But it’s gone. It went years ago. But to understand how to react to this creative destruction wrought by technology I didn’t need to read technology blogs or listen to IT gurus. I needed to read the Ancient Greeks. The Stoics, who would tell me that to be content I need to focus on what I can change and let go the things I can’t change. Like the past. It’s gone, done, but what I have is the present and a future of unknown length and it’s this that I should focus on. And technology is helping me have a future. And indeed a present – I’ve just looked up and seen how the pool reflections are making beautiful moving patterns on the domed whitewashed ceiling above me in the outdoor lounge area. When I was younger, ‘working from home’ meant basically not working. Now it means what it says. More and more people are working remotely, part-time, consulting, job-sharing, whatever. There are more self-employed people in the UK now than at any point in the last 40 years. In the USA there are around 10 million self-employed people, although that number is currently lower than it was due to the particular stage of the American business cycle. So could you transform ‘working from home’ into ‘working from anywhere’ at least some of the time? Let’s get to basics. Let’s assume you can either make or already have the flexibility to work from home or anywhere. This might need a discussion with your boss or clients but the main point to make is this: short of physically being with them, which is something that happens less and less anyway, there will be no difference in work or accessibility as far as they’re concerned. One man I know used to commute for four hours a day, frequently being messed up by a grossly inefficient rail system on the way into and out of London. He now does the same job — the same job — from a villa in the South of Spain where he lives with the family he hardly used to see. A couple of times a month he has to catch a cheap and pretty efficient flight back to London for face-to-face meetings but otherwise he works in the sun. Since my work primarily involves writing and interviewing I need a laptop and a digital recorder and that’s largely it. A MacBook Air is the answer, and I don’t really care what the question is. That allows me to travel for periods of several weeks just with hand luggage. That alone saves you so much time, effort and stress it’s worth not having all the clothing you might like. So the dinner jacket, party frock or gimp outfit or whatever will have to stay home. Google Drive allows me to store files on it so if the Air gets stolen, while this is a serious downer, I lose the machine not all the files. I could also use DropBox, or Apple’s iCloud or Microsoft One Drive, but the 1TB of storage that comes with my Google Apps is probably more than enough to last me the rest of my life. I can also share any interview MP3 files with my highly efficient Hungarian girl (who lives in England) who transcribes the conversation and simply pings them back to me when she’s done. I also use Hangouts for online video or audio chats (which is also part of Google Apps) and of course there’s always Skype, which many offices are familiar with using. There’s no reason why you can’t keep in touch with whoever you need to be in contact with, so long as you have an internet connection. Oh and one more thing. You need self-discipline. Most people who work for themselves work longer hours than the employed, so this probably isn’t an issue for you. But it can be hard. In the last five days the weather has been unbelievably perfect – it’s October and a warm, sunny autumn here. And cloudy, cold and rainy at home in England. And for two of those five days I was working so hard against tough deadlines that I didn’t have time for a swim at any point. Tough, I know, and it’s good to feel your sympathy. I’m aware that to many of you I might just as well be getting excited about a fax machine or electric typewriter, but I’ll admit to being more blunt than cutting edge. The point is that this allows me to travel. The advantages are considerably more than simply that, but how to travel, where and what technologies can make all this easier and cheaper is the subject of the next post. So what are your barriers to doing this? Sure, one can be people. One of the hardest things for me is not seeing my son regularly (I’m divorced, naturally). But could friends or family not pop out if you were somewhere lovely? You might find your popularity increases! How could you make this happen? Maybe for a week, maybe more. What technology would you need to work somewhere else? Have a think. Then, next post, we’ll discuss how to travel, via such subjects as the New Rich, the Protestant work ethic and AirBnB, so that technology makes it not only possible but cheaper too.